Monday August 18th saw the grand opening of Lents Story Yard, Propel Studio's first public project. Over 100 Lents community members and business owners converged on the site to celebrate with us. With a grant provided by the Portland Development Commission, and collaborating with ROSE Community Development and photographer Dawn DeAno we turned a vacant lot in Lents Town Center into a community asset. We utilized gabion baskets to build walls that defined space, paths, and supported the photography exhibit, and wood benches. A stage was located in the center of the site and we hope it will be activated throughout the next 18 months by local community groups and neighbors. Tis project is a great example of our dedication to Pubic Interest Design. 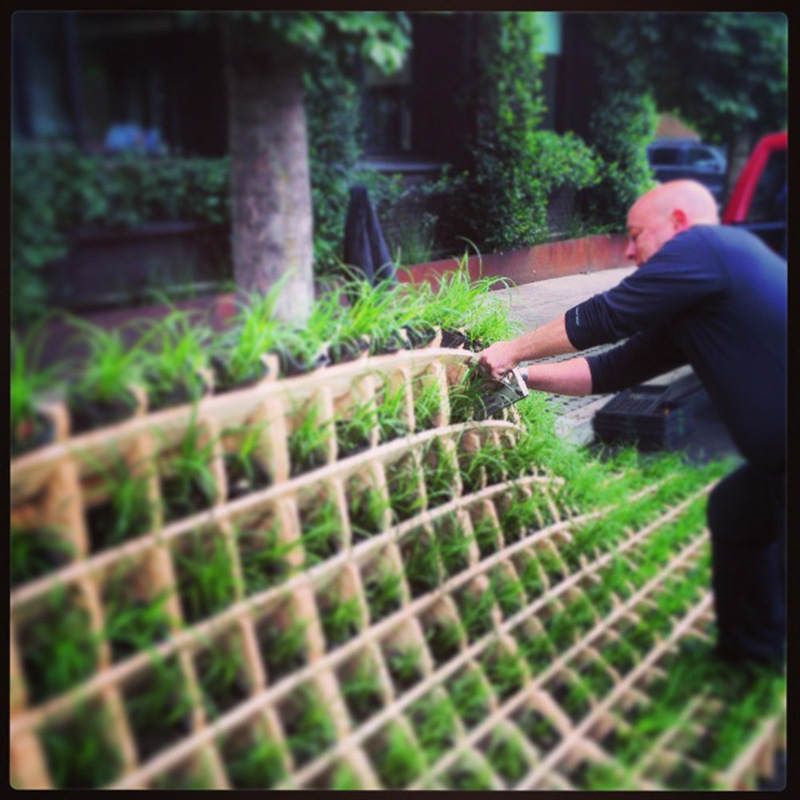 We believe architects have the ability and responsibility to improve our communities and quality of life. We take this responsibility seriously and are looking for new opportunities to collaborate with communities on projects like this. If you want more information about the photography exhibit, or would like to hold an event at the site, visit the website http://rosecdc.org/storyyard/. This is a question I ponder as I visit cities throughout the world. Is it the surrounding landscape - like the snow capped mountains, rivers, lakes, and oceans? Is it the awe inspiring skyscrapers or beautiful old churches? Or could it be something else - perhaps a more human scale built environment, or widespread parks, trees and other green spaces? On a recent trip around the world I visited a vast range of urban conditions that were often disheartening, sometimes stunning and yet often enough too similar. From Japan to Russia and on to Europe cities tended to blend from one to another losing the unique qualities of regional architecture. Landscapes were too often obscured by towers or tucked away below roads, bridges, buildings and other concrete monstrosities. Skyscrapers are all too familiar, boasting smooth glass facades while towering over adjacent concrete apartment blocks. Whether in Tokyo, Shanghai, Sydney or Toronto the buildings didn't reveal the uniqueness of the local climate. I look at cities that celebrate their unique conditions and that is where I find the beauty. Berlin celebrating the river Spree and its many canals lined with parks and grand public buildings pops into my mind as a beautiful urban environment. Hong Kong with its stunning architectural skyline backed by a beautiful mountain and stunning views of the harbor is another example of a city that is complementing the grandeur of its environment. Too often in America, cities turn their back on their environment. Elevated roads and rail yards separate downtown districts from adjacent lakes, rivers, or coastlines. Buildings rely on air conditioning and other mechanical systems to ignore the influence of the climate. Other cities blessed with an abundance of stunning landscapes lack great architecture - Portland and Vancouver pop into mind. Montreal turns it back to the St Lawrence River. Bangkok has replaced the majority of its hundreds of canals with roads. At least Sydney has embraced its water front and historic harbors. I know there is not an easy answer to this question. Cities are huge complex entities that grow and morph over hundreds of years. I believe that urban planning and architecture that celebrates the local climate, landscape, materiality and culture is a step in the right direction. 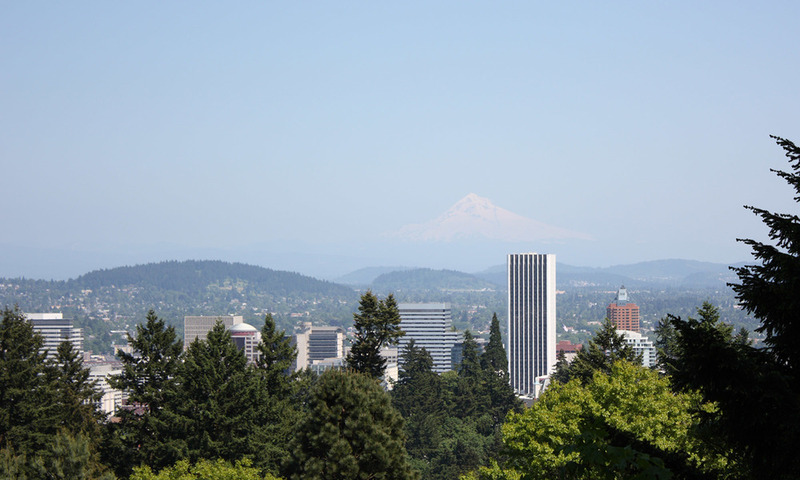 The Portland Development Commission has approved three temporary-use proposals on vacant PDC-owned sites in the Lents Urban Renewal Area, and will pursue further discussion of qualifications and feasibility of a permanent project as well. The proposals were among six responses to a PDC-issued Request for Interest in permanent or temporary uses of the Lents properties, which are located in close proximity to the historic and re-emerging commercial heart of the Lents neighborhood at SE 92nd Avenue.PDC Executive Director Patrick Quinton said, “We’re very pleased to see these Lents sites activated with community-driven projects inspired by the Lents Grown brand and adding to the growing positive energy in Lents.” The Belmont Goats will locate temporarily on the site at SE 93rd and Woodstock; PDC has also offered to work with the project proposers to locate the herd on PDC-owned lots at SE 91st and Foster Road on a seasonal basis when the Lents Farmers Market is in operation. At PDC’s request, two of the proposers, Propel Studio Architecture and ROSE Community Development, will co-locate at 8801 SE Foster Road. 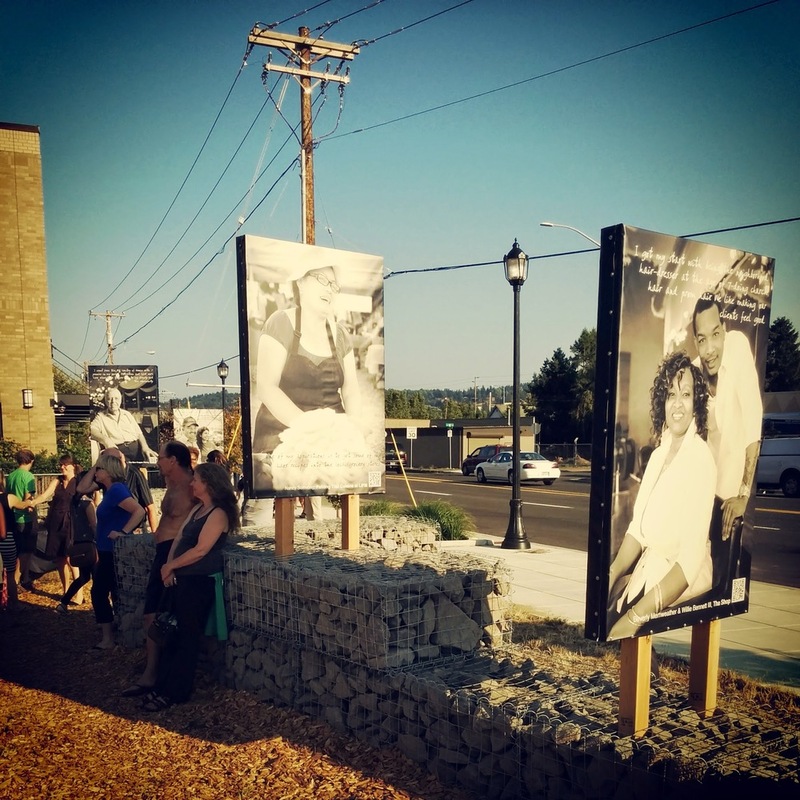 ROSE Community Development’s proposal, “Lents Grown – Our Stories” will be an installation of photographic portraits with text and audio produced through a collaborative effort by members of the community. 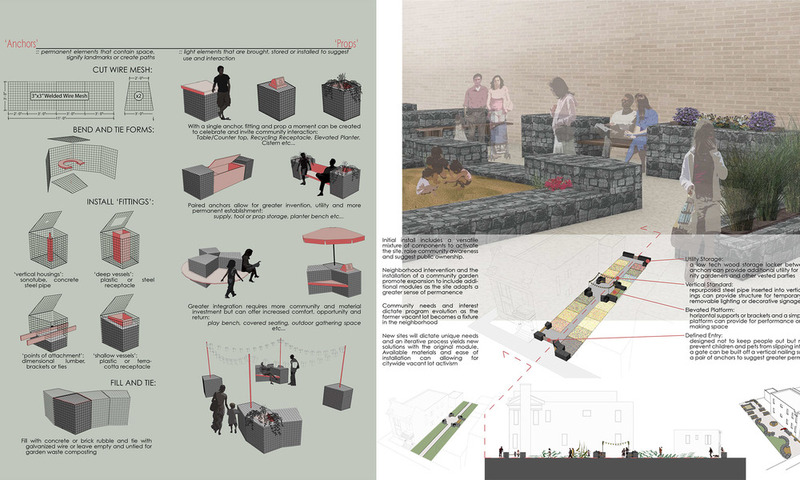 Propel proposed an installation of gabion (wire mesh) furniture to create a gathering space and placemaking identity. PDC’s evaluation committee, made up of community stakeholders and staff, noted that these two uses combined on one site would be more successful than separated on individual properties. Lucas Gray of Propel Studio Architecture said, “We love the idea of collaborating with ROSE Community Development and incorporating the stories of local residents as a way to better integrate our installation with the community. We actually met with them last summer to talk about ways we could work together so this is a perfect opportunity.” Speaking on behalf of the Belmont Goats owners and caretakers, Christopher Frankonis said, “All of us are excited for this next phase of Portland’s original resident urban herd. We look forward to working with PDC and, especially, the residents of Lents to make this ongoing urban experiment in rural community truly Lents Grown for the coming year.” Each organization will receive a $7500 grant that can be used for design, construction materials or labor, or construction project management. The temporary uses will range from one to three years. Community members on the evaluation team were Sarah Broderick, Lents International Farmers Market/Zenger Farms; Carolee Harrison, Vice Chair, Lents Neighborhood Association; Jerry Johnson, Johnson Economics/ Neighborhood Economic Development Leadership Group; Ed McNamara, Mayor’s Office. 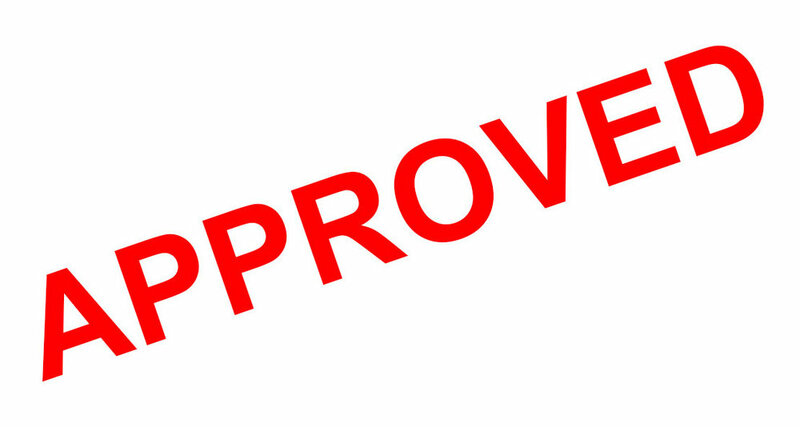 The evaluation committee also recommended that PDC continue discussions with a Lents property owner who proposed the only permanent use project, a mixed use building at 93rd and Woodstock. The Winning Street Seats Design Has Been Built!! Congrats to the winner, Bob Trempe, for his fantastic design! Special thanks to Lucas Gray and folks at The Center for Architecture for the hard work running the competition, managing funding, and obtaining the permit. The construction was led by Lucawoods Inc. of Portland. Nick Mira of Propel Studio offered a helping hand on the final installation. We are proud to be the recipient of an honorable mention in Portland's 2013 Street Seats Design Competition. Congratulations to all of the other participants and Bob Trempe for his winning design. If anyone would like to build The Portland Bench outside of your business, let's talk!